IMMENSELY satisfying. I've been loving this series, devouring them in pretty quick succession for me (especially with an audiobook series). And, in complete contrast with my usual experience, this series only gets better as it goes on. In The Labyrinth of Drakes, Dame Isabella Camhurst travels to the deserts of Akhia in order to facilitate a military dragon breeding program. As usual, she encounters danger, discovery, and dragons. This installment is peppered with romance, also, as Isabella's second husband is finally revealed! Don't have much to add that I haven't already mentioned in my reviews of the other books of the series. Just, loved it. Can't wait for the next (and last :c) book. 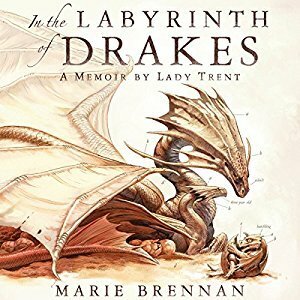 Sign into Goodreads to see if any of your friends have read In the Labyrinth of Drakes.